Algoworks has announced technology partnership with renowned online document management platform Webmerge following approval of their expertise in Salesforce. SUNNYVALE, Calif. - Sept. 14, 2017 - PRLog -- Algoworks recently partnered up with WebMerge which is a renowned online service that helps you automate your process of enterprise document creation. The leading B2B IT service firm Algoworks has proved its capability of integrating Webmerge and Salesforce seamlessly by successfully implementing custom business flows for the clients. 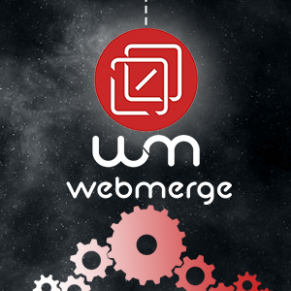 Algoworks regards this partnership vital to their growing business globally because WebMerge is regarded as a step forward in the technology spheres. Pratyush Kumar, Co-Founder of the company and Salesforce Head, commented, "Being an end-to-end Salesforce expert, Algoworks was looking forward to being one of the WebMerge partners. We love to partner with those whose passion reflect in their work through quality and resolution in their products and services. We had been observing WebMerge for sometime now and the good news is that WebMerge has been generous enough to accept the hands we extended towards them with a visionto grow together". WebMerge effortlessly collects data and populates the document automatically, as well as enables sharing the document with your contacts. This dynamic online platform works in an easy, yet effective manner. The process contains building the online document, uploading a fillable PDF, and then merging Microsoft Office documents. Once the document is created, the platform gives the ability to choose from a wide range of delivery methods such as DocuSign, Box, Dropbox, SignNow and Google Drive. WebMerge offers powerful content, flexible document types, and delivery options according to the business needs. Apart from this, WebMerge also holds some more effective features. It offers fillable PDF forms, easy data routing, customizable document templates, flexible delivery model, data security, and much more. In order to make the process of document creation easy, WebMerge works with third-party integrations, like Salesforce®, Formstack, Zapier, ZohoCRM, PayPal, etc. Algoworks caters to those clients who are getting started with WebMerge by providing assistance through the entire process and helping with integration. Those who are existing WebMerge customers, Algoworks helps them with document conversion, document design, layout, configuration, connecting external systems via APIs and assist them in creating the ideal document automation procedure.